(wikimedia.org) EFIS instruments during a test flight. How is the drift (accumulated error) nullified in INS-driven attitude/heading indicators? The related post 'How are attitude indicators kept accurate?' does not cover the INS-driven flight instruments, whether electro-mechanical or pure-EFIS installations. In a purely mechanical system one of the solutions is the ingenious 'pendulous vanes' as the other post shows. While there are two major types of INS systems, the strap-down and the stabilized platform, I don't know if the drift correction is the same (computational?) or different. I'm asking out of curiosity and thus I'm looking for a simple (as opposed to inner workings) answer. For example, if computational, what inputs/sensors are used to correct for an unknown amount of drift? If mechanical, what is the equivalent to the 'pendulous vanes' when it comes to INS installations? I've tried searching for an answer, but I keep arriving at very recent [and very technical] innovations/papers, and not the core principle. 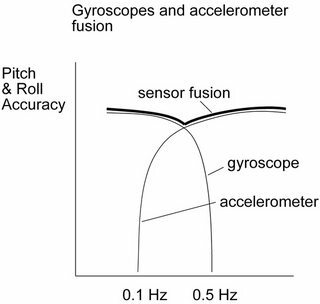 I found this blog post, which is not about aircraft-grade INS systems, but if I understand it correctly, sensor fusion makes such instruments not prone to long-period drift. Is the same principle used in the INS-driven flight instruments? Inertial navigation systems do not need to correct for drift. Modern optical gyroscopes drift about 0.001°/h and even the mechanical ones used aboard the apollo spacecraft back in 1969 achieved 0.03°/h (see Apollo 8 Mission Report, page 119). After a 20h-flight with those mechanical gyros, accumulated drift would be 0.6° and therefore less than the error of a self-erecting, ordinary attitude indicator during a turn. The reason ordinary attitude indicators need an erection mechanism is not that they are imprecise, it is because earth turns and the aircraft moves. Earth turns at a rate of 15°/h at the equator and 0°/h at the poles. The attitude indicator must adapt to the unknown drift unless it knows its latitude, in which case the drift is also known. 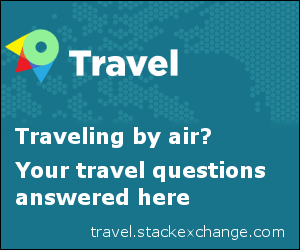 Aircraft travel considerable distances. The local horizon in Cape Town (34°S) differs from the local horizon in Berlin (52°N) by 86°. An attitude indicator must correct for these changes as well, unless it knows it just travelled from Cape Town to Berlin. Inertial navigation systems do not suffer from these issues. They know their position, the route they travelled and how long they've been flying. They just leave the gyroscopes as is and apply corrections to the display only. Not the answer you're looking for? Browse other questions tagged avionics flight-instruments inertial-nav-system or ask your own question.